Pests can gain access to areas inside the home and cause damage to building materials or create unsanitary conditions. 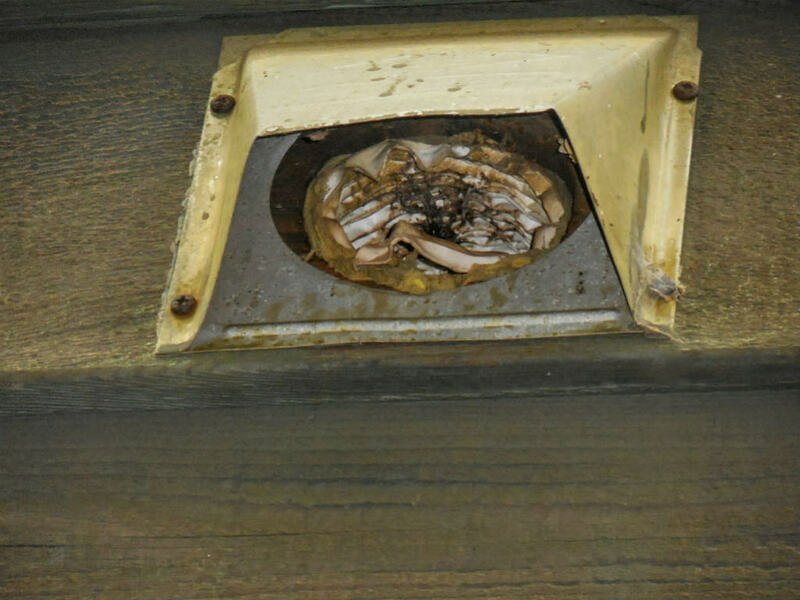 In this case, a dryer vent exiting through the exterior wall did not have a flap designed to prevent entry of pests. There is evidence of debris in the dryer duct that could pose a fire hazard. Additionally, without a flap to prevent pest entry the vinyl duct could be damaged, preventing proper exit of heated air and combustible materials. The dryer duct and vent cap should be reviewed and repaired by a licensed contractor or other professional. © 2019 Straight Arrow Home Inspection, LLC.